Originally Posted on the Greenwich Free Press, October 28, 2015. Most successful adults can recall a mentor who saw something in them. It may be the person who gave them their first job. It may be the person who took them aside and gave them sound advice or led by example. Greenwich’s Tom McGarrity remembers vividly that during his career in ad sales, a man named Jerry Perenchio who ran Univision had a saying that he adopted as his mantra: When we hire people, we’re not intending on hitting the bullseye, we’re intending on hitting the center of the bullseye. “It’s a great metaphor for life,” McGarrity said. Not only did the words stick with him for decades, but as years passed he realized the value of having a mentor. McGarrity, who grew up on North Maple Ave and is eagerly anticipating his St. Mary’s reunion next month, recalls the days when Greenwich kids rode their bikes everywhere, and nobody had their head down, focused on a device. People looked each other in the eye. They shook hands and greeted each other. “You would call a friend on the phone and say, ‘Hello Mrs. Smith, it’s Tom McGarrity, may I speak to…’” he said. Today, McGarrity’s Center of the Bullseye Consulting, is not only a tip of the hat to Perenchio, but a guiding principle for his consulting business. McGarrity, who went to Colgate University, works with college seniors and recent graduates in all aspects of their job search. McGarrity, who is certified to administer the Myers-Briggs Type Indicator (MBTI), an assessment, which is part of the services he offers, said he helps young job seekers get off the sofa, hone in on their passion, and find employment. Clients can arrange a series of one-on-one workshops over 4-6 weeks, or opt for an intensive weekend session. “When I went to college someone took me on as a mentor in advertising,” McGarrity said, adding that he had an affinity for mentoring himself. Throughout his career in advertising sales, which included positions at Gannett, Blair Television and a long run at Univision, said he took on interns almost exclusively from Colgate. 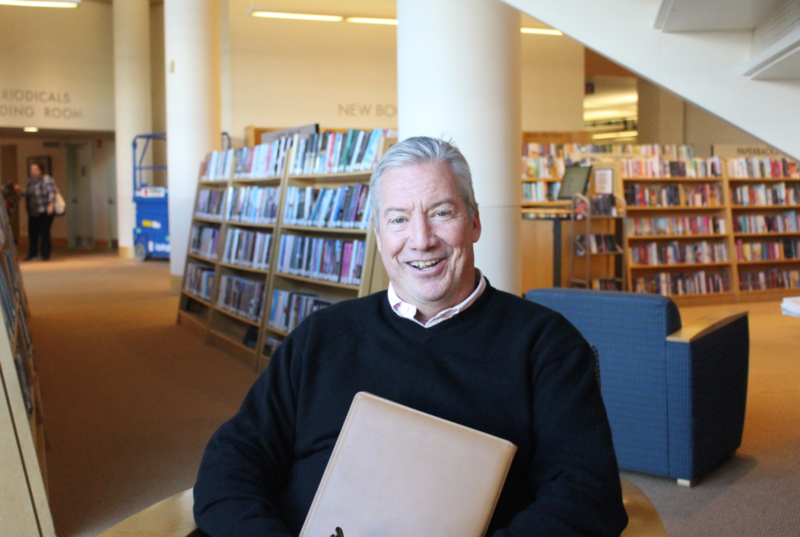 Retired 8 years ago, McGarrity has eased into what he had always enjoyed: helping young people entering the job market. McGarrity said recently 65 kids signed up for his presentation on interview skills at Hobart, where his son Tucker is a sophomore. A believer in the timeless advice of Dale Carnegie, McGarrity works helps young people hone their interview skills, develop interpersonal skills, use people’s names, initiate conversation — all skills with value far beyond landing that first job. “If you have a kid out of college, at home on the sofa, they need money to eat, go to CVS, go the movies. You didn’t budget for that,” he said. After participating in McGarrity’s workshop, young people stay in touch until they find employment. “These kids have had their social skill retarded. But, if they learn these skills, they stand out,” he said.